Home Building News received this letter from HBA member, Matthew Litkie, and thought it was well worth printing even though we don't have any formal "Letters to the Editor" section. Matthew is also a member of the HBA Remodel's Council. 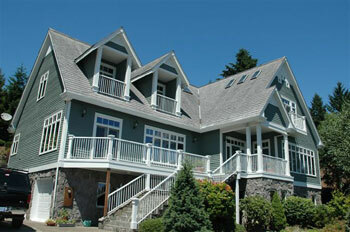 As a successful painting contractor, I am contacted daily by potential customers. I am alarmed how many of these people tell me that their attempts to reach sub-contractors result in failure-no one returns their calls, or they take the job and never come back to do it. We are extremely busy keeping our customers satisfied, but we can't lose sight of our professionalism. It is our responsibility as professional contractors to maintain contact with our customers. Maybe on your way to the bank with all those checks, you could make a couple of calls. If you are too busy yourself to help with a particular project, offer an alternative or a referral. Remember, if you work for a Home Builders Association member, you represent their company. If you show up late for work or don't show up at all, that is a direct reflection on their firm. It goes without saying-the subs who do quality work, on schedule, with reasonable prices are the ones who will be successful in weathering the storms ahead.